Metro contador electrónico prepago de energía, montaje sobre panel frontal, digital, monofásico, pantalla led.  Can select the inside far infrared communication module and RS485 communication module, for reading meter, remote control credit and system parameter setting.  LEDs indicate separately the power state (green), the energy impulse signal (red), load current flow direction (yellow). 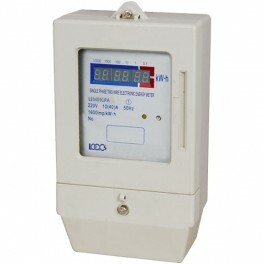  Automatic detection for the load current flow direction, yellow LED lighting means reverse current flow. 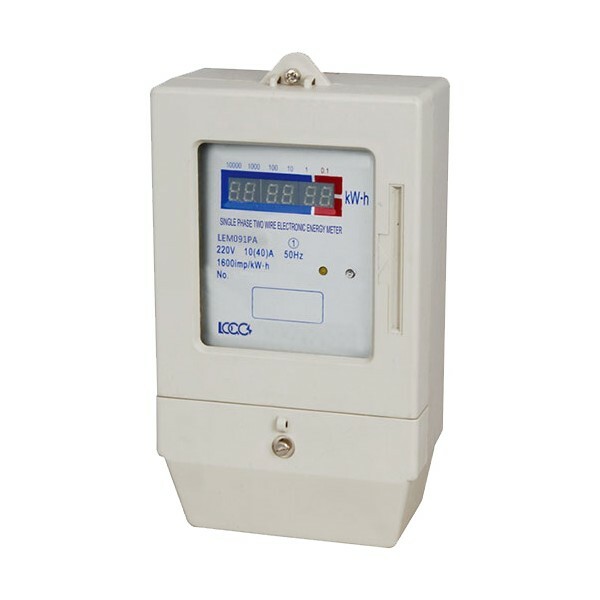  Measure the active energy consumption in one direction on single phase two wire, which is ot related with the load current flow direction at all, complying with Standards IEC 62053- 21.  Direct connection. Two types of connections: type 1A and type 1B for option.